This week’s Top Ten Tuesday theme is All About Books You Read Because of Recommendation. 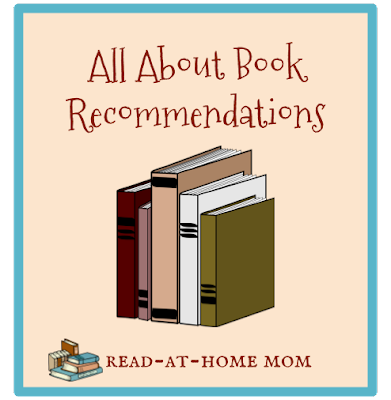 I don’t tend to read many books based on the recommendation of specific individuals, so instead I thought I’d share where I do find out about the books I choose to read. Probably the most frequent recommender of books in my life is my husband. (We are both librarians, for the record.) As I type this, I am sitting face-to-face with a stack of 30 or so titles that he has read and would like me to read before they get packed away until our kids are old enough to enjoy them. These are mostly vintage middle grade novels, with a few contemporary titles and even some professional books thrown in. I am tackling the stack slowly but surely, but it seems to grow taller by the week, and since there are also plenty of other books I want to read - books with library due dates attached to them - I don’t expect to get to the bottom of the pile any time soon. 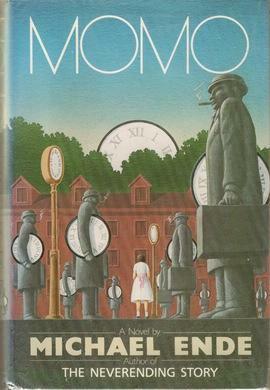 Still, his tastes are quite different from mine, and I’ve read a lot of books at his suggestion that I would otherwise have skipped, including Momo by Michael Ende, The Mitchells by Hilda van Stockum, and the works of Kate Seredy. When it comes to the books I borrow from the library, both for myself, and for the girls, I tend to rely pretty heavily on blogs. I would say that a majority of the holds I place at the library are a direct result of reading blog posts from either Jean Little Library or Ms. Yingling Reads, and the rest come from a random sampling of other kidlit blogs that I follow through Feedly. Typically, I will save the posts for later in Feedly, then periodically go through and add the titles to my to-read shelf on Goodreads. When I place holds, I just go down the list, searching the catalog for each title. It’s the best way I’ve found of keeping up with newer releases. Another good way to learn about new books is through Booklist webinars. Booklist offers a few different free webinars each month, and often, at least one of them features a group of publishers giving booktalks about new and forthcoming releases. I don’t always end up reading the books I hear about in these presentations, but I like having the heads-up when a new title by a favorite author is about to be published. I also always enjoy it when Booklist invites authors to read from their new books. The only person who really recommends books to me using the “recommend” feature on Goodreads is my husband, but even without a lot of recommendations being sent directly to me, I still find out about books this way. At least a couple of times a week, I scan the updates feed to see what my friends are reading, and if I see something interesting, I’ll click to add it to my to-read shelf. Goodreads is sometimes also how I find out that a book (particularly an older title) has a sequel, or is part of a series. The final way that I seek out suggestions for what to read is through the NoveList database. I have access through several of my local libraries. By searching for certain keywords and subject headings, I can track down books on the topics that currently interest me. I can also look up a book I have already read and see if there are any others like it. I don’t do this a lot, but if I find myself dying to read a book for adults, this is often how I will hunt one down, as my own readers advisory skills are much better suited to children’s literature. I use Novelist pretty often at work - I'm the same way, I can happily suggest children's books all day, but ask me for an adult fiction recommendation and I'm running to the computer to do a search! Love, love the Mitchells and any Kate Seredy, your husband has great taste. Love that you are both librarians. Off to check our your links.